This wafer-type product uses two semi-circular discs and springs for the operating component. 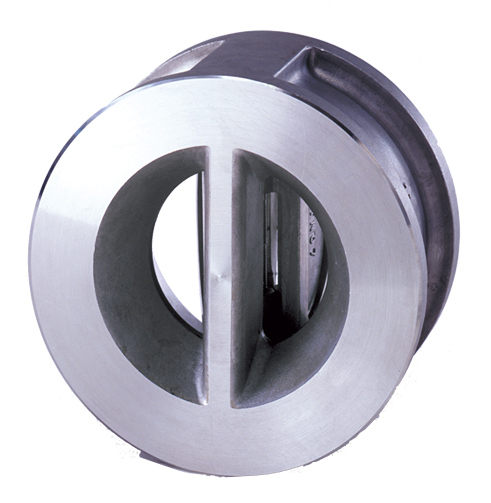 Compared with conventional swing check valves, this allows for a drastically slimmer design. In addition, the responsive and reliable operation helps prevent water hammer. This ensures the safety of the piping lines are maintained. 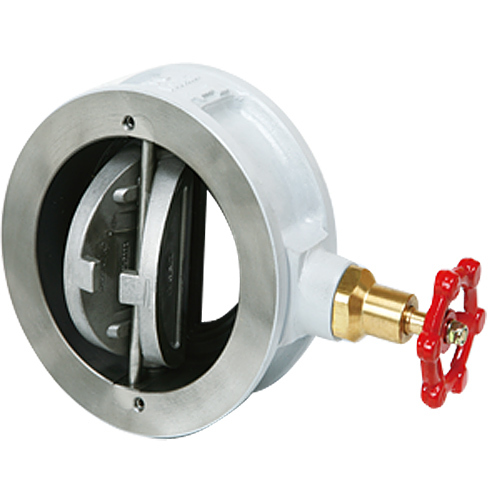 Compared with other JIS-compliant swing check valves, this valve has one-fourth the width and one-fifth the mass. Because there’s no need to ensure extra installation space, and piping work is simple, the valve provides excellent cost performance.